GastroMed LLC always appreciates feedback from our valued patients. To date, we’re thrilled to have collected 25 reviews with an average rating of 4.92 out of 5 stars. 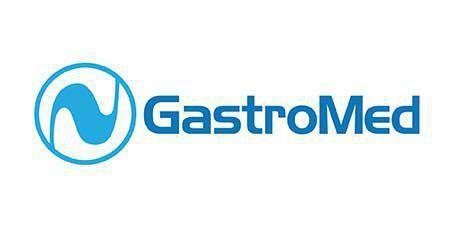 Please read what others are saying about GastroMed LLC below, and as always, we would love to collect your feedback. Dr. Vargas is top-notch. Actually listened to my concerns and explained what his course of action would be. Not too many doctors turn away from their computers to pay attention to their patients, well he did, and I highly recommend his services. Excellent service and professionalism at best. Everyone was very nice. There is a beautiful salt water aquarium in the waiting room which made the wait more enjoyable. Dr. Andrade listens to his patients , takes the tume ro evaluate them and is very detailed in explaining his findings and treatment alternatuves. He cares and loves his profession. Simply a great physician ! The doctor was very knowledgeable , he listened to my concerns and provided me with the information i requested. Just to wanted to take a moment and express how satisfied I was with my experience. Dr. Veloso took the time to answer my questions and explain the procedure to me. All the staff was courteous and professional. Love the website extremely easy to use!! You get a lot of messages to confirm appt. Dr Andrade explains main concerns and state of your illness in detail. Appointment scheduled time is respected. Dr.Christian Andrade was friendly and very profesional with me. Wonderful doctor very wise and very attentive truly cares for his patients. The staff team was great very friendly, fast working and clean environment I recommend them 100%. Waiting time is about 5-10 minutes. staff is super nice!!! I had an excellent experience with DR Alexander Veloso and staff will highly recommend him they all made me feel special .Took His time and explained to the fullest .Jenny , MA was very eficient and amazing.